Today marked the beginning (Day #1) of Chocolate and Venezuela Theme Week. 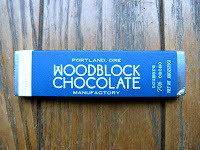 I've been looking forward getting back to featuring plain (unflavored), single origin bars for some time. First, it's interesting to see what flavors predominate in, or are unique to, a single region or country. Second, I enjoy seeing what different chocolate makers are able to produce, using similar cacao beans. 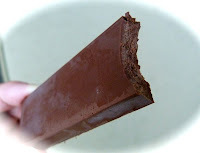 High-quality beans from Venezuela, in the hands of a good maker, yield dark chocolate bars that I can only compare to fine, full-bodied red wines, with a well balanced, fruit/acidic bite to them. 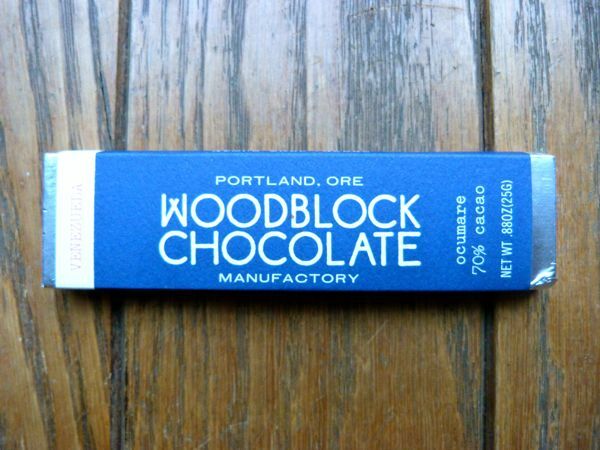 Such was the case today, with this dark, slightly fudgey bar that was made, bean-to-bar, by family-run Woodblock Chocolate manufactory (in Portland, OR). The small, dark 70% cacao bar from the Ocumare region of Venezuela packed a big flavor punch. And, without any effort at all, I savored each bite of this rich tasting, two-ingredient bar (cocoa beans, sugar).